Hayes Motor Co of Lubbock, TX proudly introduces the Dodge Charger to the community of Lubbock, TX. When you have more than 45 years of muscle-car heritage coursing through your veins, you get a modern-day marvel like the Dodge Charger. The low, lean profile and scalloped bodyside exude an amped-up attitude that begs you to put the pedal to the metal. A muscle car for the family, the Charger offers the style and stance to intimidate more mainstream sedans. The sport-tuned suspension and accurate steering lend a decidedly agile feel for such a big car, without compromising a compliant ride. A 292-hp 3.6-liter V-6 (300 hp with a Rallye appearance package), an eight-speed automatic, and rear-wheel drive are standard; all-wheel drive is optional. Two brawnier rear-drive Hemi V-8s are also available—a 370-hp 5.7-liter or a 485-hp 6.4-liter. The Dodge Charger name is deeply rooted in the history of autos, though for many years it was previously associated with performance 2-door models. Specifically, the Dodge Charger has been closely linked with the 2-door Dodge Challenger muscle car. With the introduction of the SRT Hellcat model, the Dodge Charger has fully staked its claim to be the world’s fastest 4-door. The V-6 performance is quite satisfying, but nothing beats the impressive firepower and character of the V-8s. This model, powered by a 6.2-liter supercharged engine makes the V-8 an awesome 707 horsepower, capable of hitting over 200 mph. The Dodge Charger is a certainly big car, but similar to any good heavyweight contender, it has its individual moves and is obviously quite comfortable in its own skin. Upgraded for 2016, the brand new model brings forth more feature refinement, enhanced styling as well as a broad powertrains selection. This vehicle leads among the most versatile of sedans available in the market today capable of meeting the requirements of performance enthusiasts and growing families. The cornering ability and athletic handling of the Charger has been praised by test drivers. As a result of its sloping nose and improved visibility, the Charger is in fact easier to drive than earlier versions. 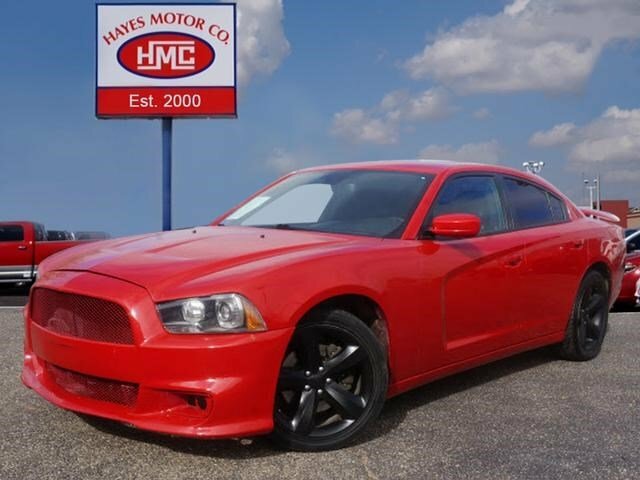 Stop by Hayes Motor Co Lubbock, TX today and come check out the Dodge Charger and take it for a test drive today!